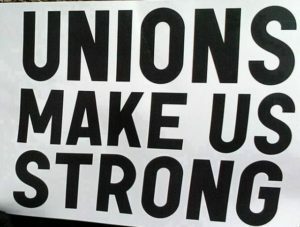 Stand strong with YOUR union – AASD. Recently some AASD members have been contacted via US mail by the Freedom Foundation urging them to drop their membership in OUR union. AASD is confident that OUR members know and understand the value of being a union-represented member. AASD has a good collective bargaining agreement, a strong voice with District leadership and also provides professional and competent representation along with many other benefits of membership. Together WE are stronger! Thank YOU for YOUR continued support of YOUR union.